The NFL season has been over for almost two months now. Normally card activity slows down a little bit after the Super Bowl. But when you’re talking about Patrick Mahomes, nothing is normal right now. His cards have been some of the most sought-after in the market since his meteoric rise began just a few months ago. His second-year cards outselling most 2018 rookies. Buying 2017 boxes in hopes of getting a first-year Mahomes card will set you back a nice chunk of change as well. For example, 2017 Panini Prizm hobby boxes are selling for close to $500 at the moment. As I look over my reports for price changes, I am noticing that I have to raise Mahomes’ cards yet again. 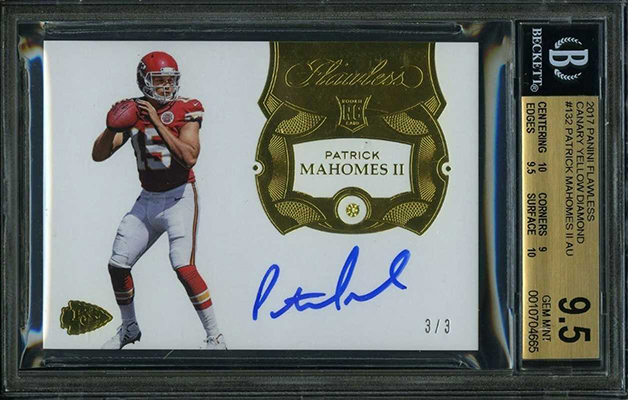 Here’s a quick look at some of the biggest and most notable sales of Patrick Mahomes cards in recent weeks. The Optic brand has become a favorite among collectors in a short amount of time. 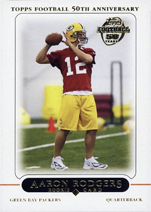 Add in the Gold Vinyl parallel, an NFL Shield and you have a top-selling card. 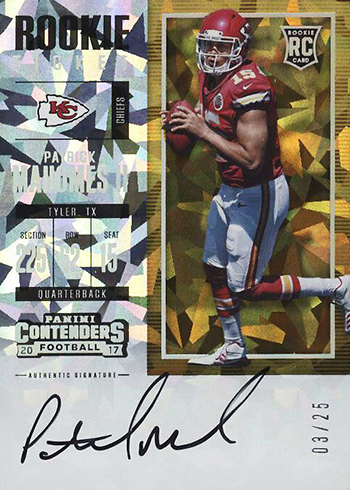 Contenders Cracked Ice parallels are among the most popular parallels in all of football cards. There are times when these will sell for more similar cards that are even more rare. Personally, I think it’s because they’re some of the coolest looking cards out there. What’s better than having an autograph jersey card? How about an autographed card with a yellow diamond in it? Panini spares no expense when it comes to their most expensive product. If you managed to pull a card like this though that price tag doesn’t look so scary. 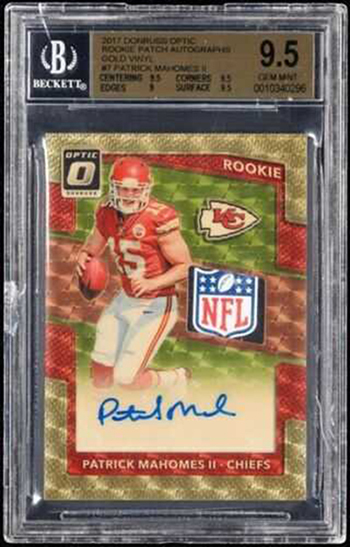 I guess a collectors perception of a cards value has to influence what they will pay for it , otherwise how would you explain a rarer autographed card numbered to 3 selling for much lower than an autographed card numbered out of 25? I know personal preference comes into play, but sometimes it seems illogical.